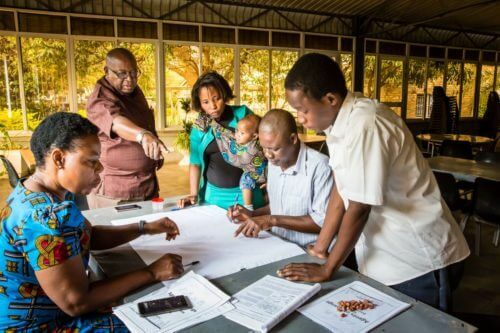 Members represent every region of the Anglican Communion and are brought together for their expertise and experience in key thematic areas, including disaster risk reduction, good governance, and advocacy initiatives. The Council has gathered to find out more about the work of the Anglican Alliance and discuss its mandate and strategy, looking at regional priorities as well as crosscutting global themes, and overarching issues such as regional representation and engaging grassroots communities. 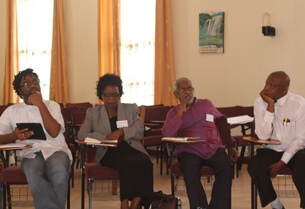 Sessions include discussions on the role of the Advisory Council, on the new three-year strategy developed out of regional consultations and on the three pillars of the Anglican Alliance – development, relief and advocacy. The participants will also visit a community involved in a micro-finance initiative. In the following days the Advisory Council will contribute to the strategy and discuss how best the Anglican Alliance can facilitate the sharing of learning and capacity across the Anglican Communion and continue to provide a convening platform for Anglican churches and agencies. In the picture: Clifton, Eleanor, Jaysiri and Leonidas in a session on Monday.